Happy New Years To All Our Brothers & Sisters Down Under! May The Goddess Bless You In This New Year! Well, another year has come and gone. Can you believe it? It seems time is starting to fly by. I know time especially flies by when it comes to our internet provider. We have reached our data cap for this month, unfortunately. Which in plain English means if we post anymore, we get charged for every gig we use. In order to prevent our internet bill from going any higher this year, we are forced to take the day off. We apologize for this but we have no control over it. I just checked our bill and right now, we can’t afford to go any further in posting for this month. We went over our data cap a week ago and didn’t stop posting and now we are paying dearly for it. I know you don’t want to hear about our personal problems but we don’t want to be off the internet either. We are having a meeting today to figure out how we can prevent this from happening. So far it has happened this month and the month of November. We have a message to get out and we want to get that message out without it costing us an arm and a leg. We can go back to one of our posting ideas that we came up with earlier, that was to post on Mondays, Wednesdays and Fridays. We could compile everything into one post and just post once a week but I don’t believe that most of you would like that. I know you have come to expect your daily horoscopes, tarot card and runes each and every day. Another option is to ask for sponsors for The WOTC. A few dollars a month would make a ton of difference and perhaps then we could afford to post daily as we normally do. But I sincerely do not like asking you for money or donations, I will leave that up to you. If you would like to become a sponsor of the WOTC, we would deeply appreciate it. If you would like to make a one time donation, we would also appreciate that. We can make a dollar stretch to it squeals. We do have several sponsors and we deeply appreciate them. These good people have found it in their hearts to donate to us each month. They see that our message and our work is important and we are worthy to contribute too. They also understand that the operations of the WOTC isn’t cheap. They realize that we have a high internet bill to pay, electric bill to keep the computers humming, water, phone and much more. The WOTC is not the only website we run on the internet. We have several that we operate. We are not only active on the internet, we are also active in the community as well. Our mission is simple and to the point. 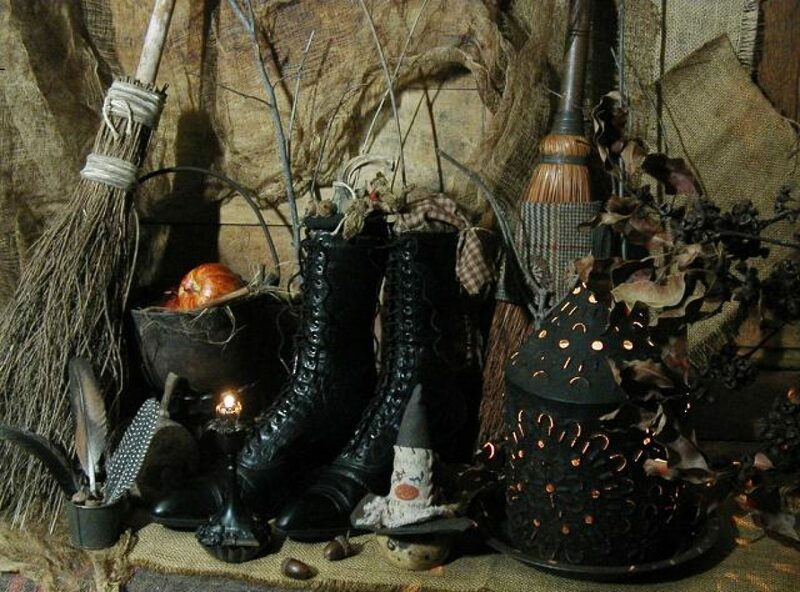 We are determined to dispel all the old myths and stereotypes associated with Witches and Witchcraft. Also to tell the truth and beauty about our religion, Witchcraft. I told you about being attacked on Facebook recently. That proved one thing to me, we still have along way to go and we need your help to continue our message. Even if you are down under, you can still contribute to the WOTC. I am not familiar with the currency down there but I am sure PayPal is. I hate to talk about money on the last day of the year but then again, I hate to take the day off because we have reached our data cap and cannot afford to pay anymore on our internet bill. What I am doing right now will probably cost us an additional $5 or $10. So if you have ever thought about contributing to us, please do so. I can guarantee you, your contribution will be put to very good use. It is funny looking back when we first started out, we never had these problems. 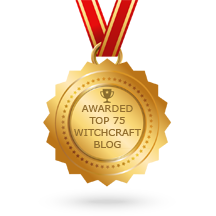 At the very first, I wanted to be the biggest and best Witchcraft site on the internet. I never knew that doing just that would be so costly. We have been on the internet for many, many years. We have a store and all the purchases from the store goes directly to our operation costs. We have several donors a month but we need more. Whether we have to go to posting three days a week or we are lucky enough to get more donors, either way we will continue to do our work and spread our word. With that I will stop. Now you know the situation, we will be off the internet today due to the data cap. Tomorrow starts a new month and a new year, we will be back then. Hopefully, we will have some new sponsors come on board and we won’t have to worry about this issue anymore. If not, we will go to posting every other day and see how that works out. So my dear brothers & sisters, please be safe tonight. We want to see all your smiling faces right back here tomorrow. Previous Previous post: Happy New Year’s Eve Dear Brothers & Sisters of the Craft! May The Goddess Bless You & Yours In The Coming Year! Next Next post: A Very Happy, Happy Bright & Blessed New Year To One & All! Thank you. We wish you & yours a very beautiful & blessed New Year’s also.